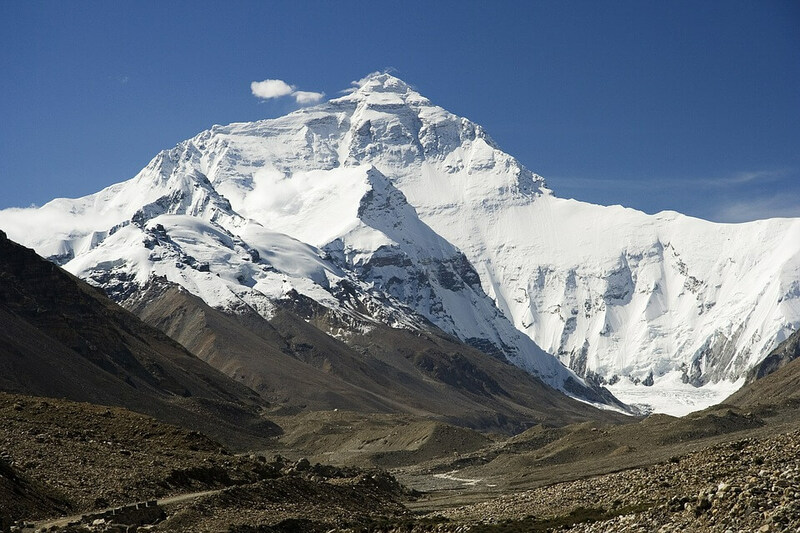 Welcome to the lap of the highest mountain in the world, Mount Everest! 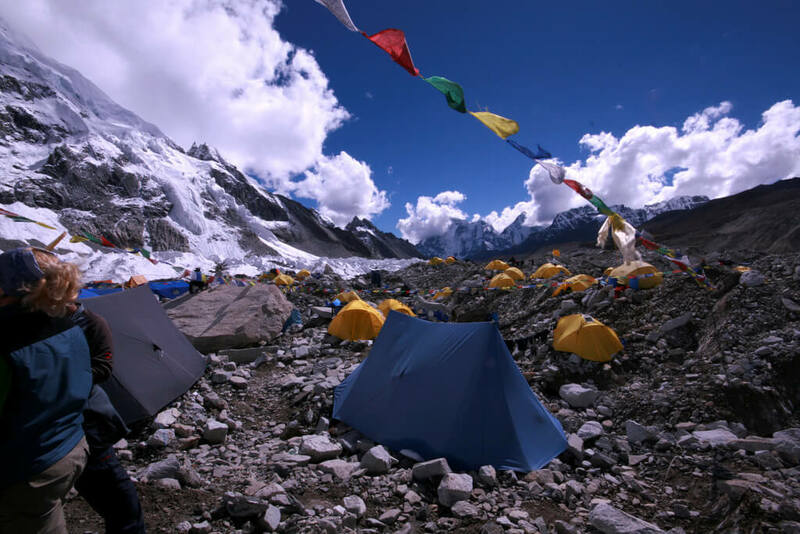 Everest base camp (EBC) trek is one that has been attempted by adventurous trekkers from all around the world. The thrill of getting so close to Mount Everest as well as facing the challenges of the trail makes this trek an adventure of a lifetime! 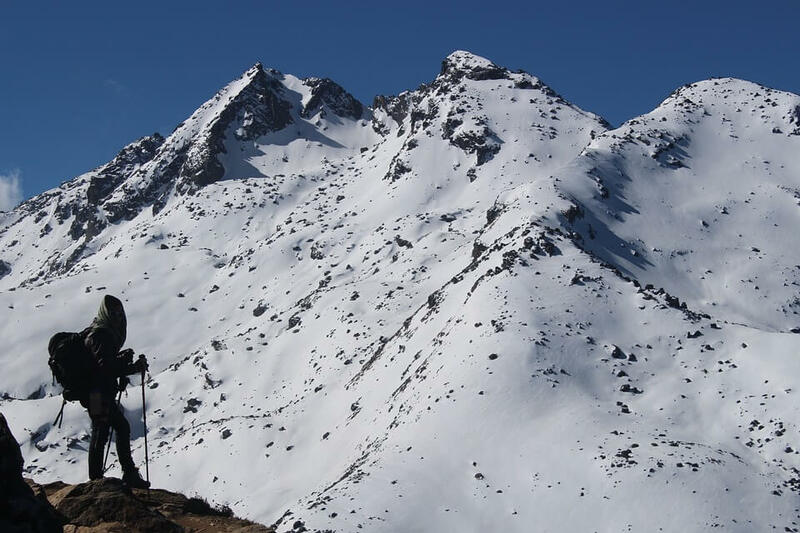 The 12-day long trek to the highest elevation of 5545 meters at Kalapatthar is definitely a challenge with its high altitude, tricky trails with slippery, snowy paths, steep ascends, and chances of snowfall and avalanches. 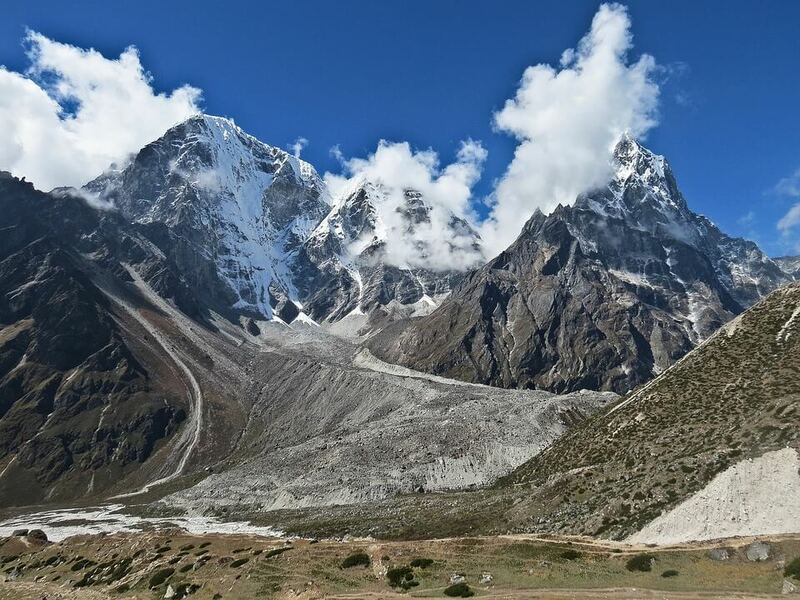 Khumbu region is a popular trekking destination as the home of Mount Everest. 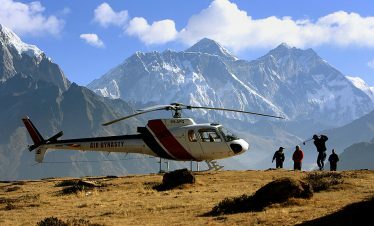 After the dangerously exciting flight to Lukla, our trek enters Sagarmatha National park after which you continue your journey among beautiful forests, mountain vistas, and scenic landscape. 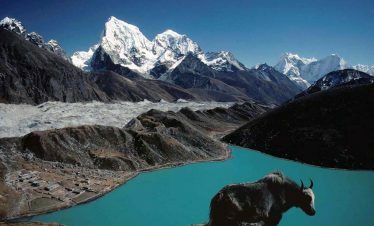 The magnificent views of Kwangde, Nuptse, Lhotse, Kantega, Ama Dablam and Everest among many others greet you along the trail making you never want to leave the heavenly region. The traditional settlements in Namche and other villages along the trail give a glimpse into the unique culture and traditions of Nepalese in the high mountains. Another similarly unforgettable moment is at the Tengboche monastery with its ancient beauty and the majestic peaks shining in the background. With the friendly smiles and warm hospitality of the people in the high altitudes with harsh environment, you get to experience the simple, undisturbed yet fulfilling life in the mountains. 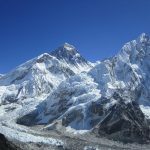 This short itinerary is perfect for novice trekkers with a chance to follow the path once led by Sir Edmund Hillary and Tenzing Norgay in the first every summit of Mount Everest. 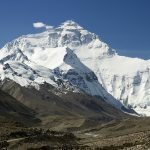 With good health, proper physical fitness and acclimatization, this moderate level trek can be completed by all who wish to witness Everest towering over the world from up close. On this day, our trip to the lap of Mount Everest finally begins. We will take an early morning flight to Lukla. Lukla airport is considered one of the most dangerous airports in the world for it is situated between a hill and a cliff with a short landing strip. After the 30 minutes flight, we can enjoy breakfast and immediately start on our first trek to Phakding at an elevation of 2610 meters. The walk to Phakding is three hours long as we walk across the Dudhkoshi valley. As we reach Chheplung at 2700 meters, we will cross the Thado Koshi River on an old-style suspension bridge. After a while, we see Kusum Kanggru peaks which are one of the most difficult climbing peaks. We will reach Ghat and then a ridge marked with Mani stones to finally reach Phakding. We will spend the night here. The second day of the trek begins with a walk through the Dudh Koshi valley. We will be crossing Dudhkoshi River 5 times over the suspension bridges throughout the day. The bridges covered with prayer flags can be a fun experience for those who haven’t tried the local bridges before. 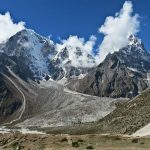 A steep climb will lead to Jorsale which is also the entry point for Sagarmatha National Park. We need to show our permits at the entrance. From here, another climb for a few hours leads to Namche. Namche is the trading center with hotels, shops, and other businesses. Trekkers, climbers, porters and locals coming or going to the cities or mountains all merge in this hub. We spend the night here at an elevation of 3500 meters. 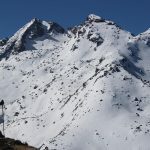 As we cross the 3000 meters mark, it is very important to let our body acclimatize to the elevations Altitude sickness is one of the most serious problems for trekkers and climbers all over the world. As the altitude rises, the level of oxygen decreases in the air making it difficult for the body to function properly. Acclimatization is the only way to prevent this sickness. During this rest day, we can either rest and save up energy for the remaining days or go for short hikes around the Bazaar. People usually go to Khunde and Khumjung villages. 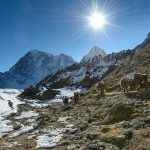 The head of a yeti in a monastery, a bakery in the highest elevation and the panoramic views of Everest, Ama Dablam, Lhotse and many others in the area are the highlights of the hike. We return back to Namche Bazaar and spend the night here in one of the lodges. The trek from Namche to Tengboche covers the side valleys as we go up and down and finally join the trail from Khumjung. We can see a collection of Mani stones on the trails. 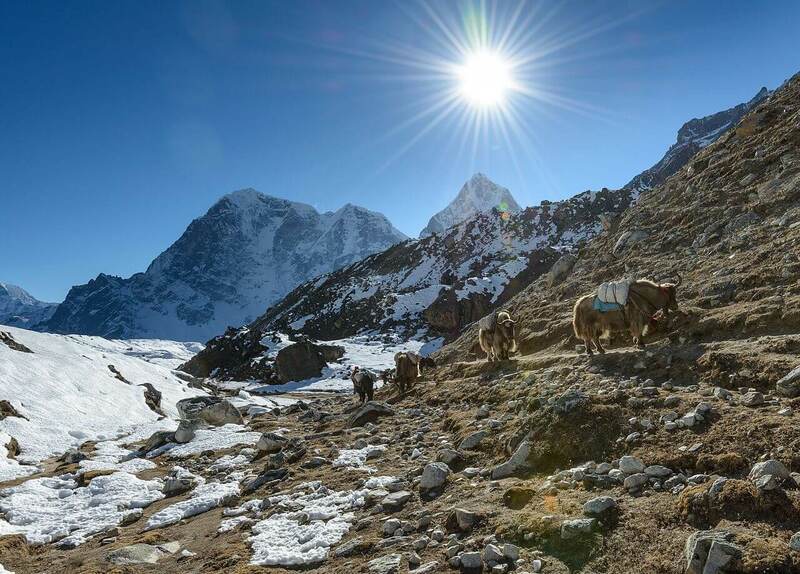 This part of the trek is also known for excellent views of Everest and Ama Dablam. The trail passes through the settlements of Sanasa, Phunkithanga and then finally climbs through pine forests and Mani walls to reach Tengboche monastery at 3870 meters. 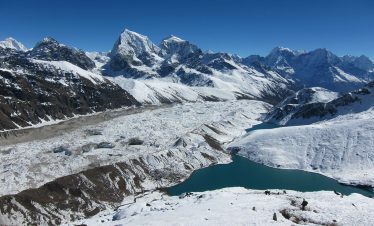 We can enjoy the truly magnificent scenery of Everest, Kwangde, Nuptse, Lhotse, Ama Dablam, Kantega, Thamserku and many others mountains. After ascending another 1000 meters, we rest for a day to acclimatize to the surrounding. We need to recuperate for the remainder of the trek. We also have the option to take a short hike up to Chhukung. The trails up to Chhukung and then towards the Island peak are perfect for the mountain views. The view of the eastern face of Amadablam is a highlight of the trek. We return back to Dingboche and spend the night at an elevation of 4400 meters. The trek comprises of a gentle climb tharough chorten trails and then a steep climb to reach Thugla at 4600 meters. We will trek across pasture lands and valleys to reach a Trekkers’ Aid post in Pheriche at 4240 meters. 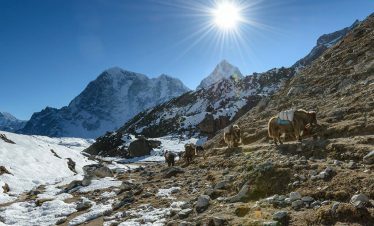 Once we descend the yak pastures, we reach Lobuche at 4900 meters. After 5-6 hours of trek, we will spend the night at an elevation of 4900 meters. From Lobuche, we begin a short hike up to Gorakshep The hike is easy at the beginning and end but a bit rough and difficult towards the middle. 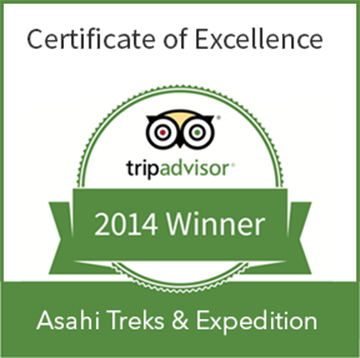 We will be blessed with the astonishing views of the walls formed by Everest, Nuptse, and other Himalayan giants. After a while, we reach a settlement at a high elevation of 5160meters at Gorakshep. 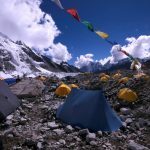 Once we have lunch, we move along the ridge of Khumbu glacier towards the Everest base camp area for about an hour and a half. The already majestic mountains look formidable as we approach the base camp of the highest mountain in the world. 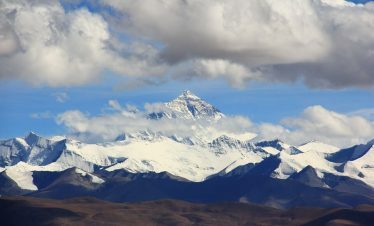 We enjoy the beautiful scenery as well as the exhilarating feeling of being in the lap of Mount Everest. 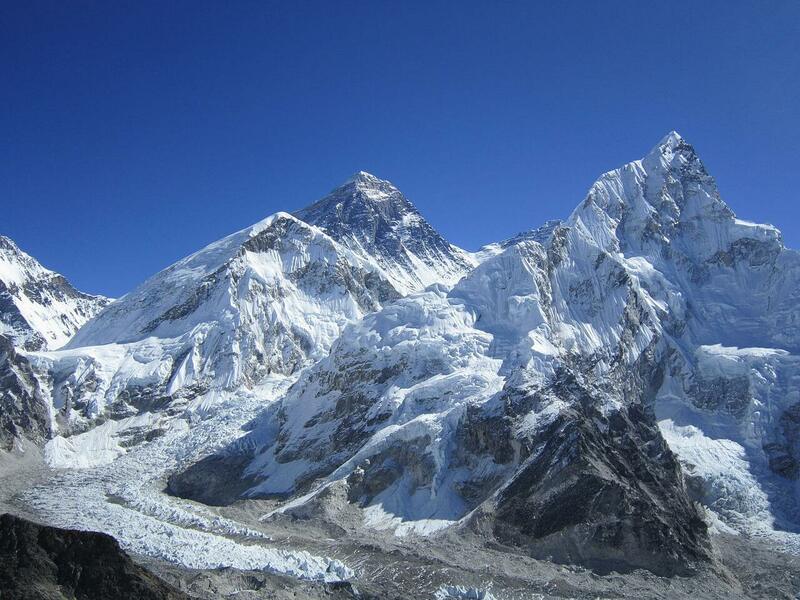 We can also see Khumbu glacier, Khumbu icefall and the crevasses that the climbers have to encounter. 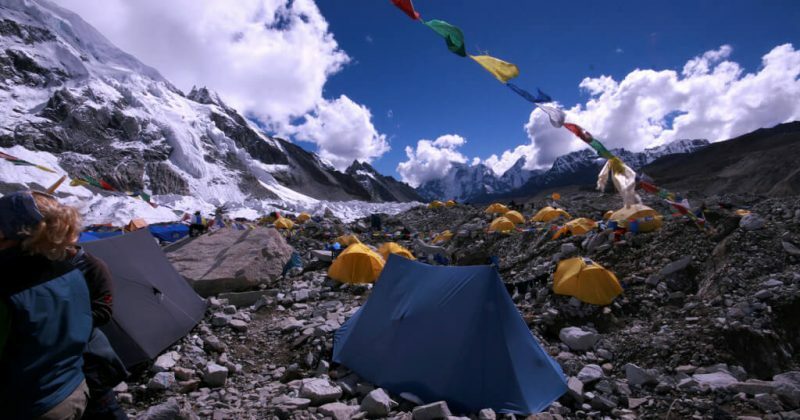 The base camp is situated at an elevation of 5360 meters. We can mix and mingle with the climbers in their journey from and to the summit of Everest. After appreciating the destination of the trek, we make our way back to Gorakshep. 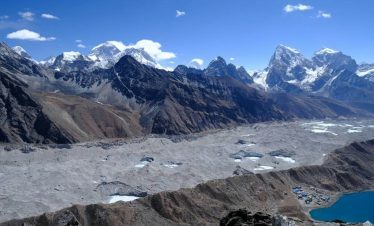 The total duration of the trip is 6-7 hours and we will spend the night in Gorakshep at 5200 meters.